Brewing tea with boiling water until it looks frothy, then silence for long (until the tea leaves settle to the bottom of the container) before drinking, is the usual way we do everyday. But apparently that is not the right way if you really want to feel the pleasure of drinking real tea. Choose good quality tea. We recommend using loose leaf tea or leaf tea that has been dried rather than teabag, so as not to mix with the chemicals contained in teabag packaging paper. Water temperature to brew is very influential on the flavor and aroma of tea. Also long brewing. If you do not have a kettle that has a temperature indicator device, you can set its own temperature. For example, to get water 90 degrees Celsius, you can heat the water to boiling (100 degrees C) then turn off the stove and let stand for about 5-7 minutes. If silenced for 8-10 minutes, you will get water temperature 80 degrees Celsius. Use a pot of ceramic or glass (not from metal), preferably with a filter tube in it. 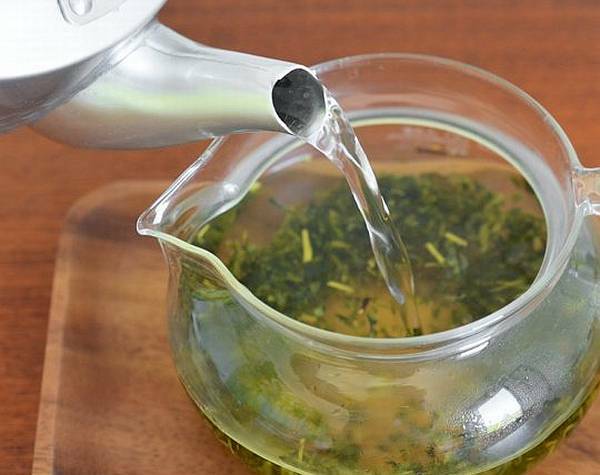 Brewing green tea (green tea): input the green dash to the filter tube in the teapot. Brewed with water with temperature 80 degree Celsius. Brewing oolong tea (oolong tea) and the black (black tea) tea: input a dash of tea into a sieve tube. Brewed with water 90 degrees Celsius. After the brewed, let stand for 3-5 minutes, then remove the filter tube from the teapot. Tea ready to serve. If it’s too long left, tea drinks can be too bitter. White tea (white tea) is best brewed cold (cold brew). How: take a dash of white tea in a ceramic or glass container, brewed with boiled water at room temperature. Let stand for 12 hours in the refrigerator chiller section. Serve cold. When the tea leaves that have been brewed still look wrinkled, it means it can be brewed once more until the tea leaves really loose or wilted. The remaining brewed tea leaves can also be used as compost for pot plants in your home.